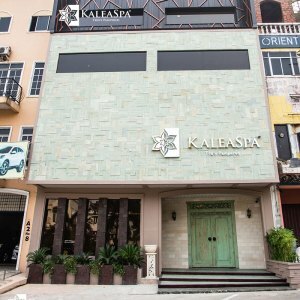 Situated in the heart of Batam Centre, KALEA Spa blends in the concept of traditional and modern healing techniques with natural ingredients as well as the therapeutic touch of our highly skilled therapists, to give a deep sense of relaxation, long lasting beauty and ultimate wellbeing. With our aim to best deliver our signature Balinese massages, we have also flew in certified Balinese trainer and a group of skilled therapists which will remain with us permanently to provide customers the best spa experience. Our spa artisans emphasize greatly on product quality where high efforts are used to source for natural ingredients and organic herbs from the Indonesian archipelago, all of which have many benefits for our health, skin and overall wellbeing. With these products, we are set to give you an organic head-to-toe pampering sessions with our wide varieties of treatments ranging from Spa Indulgences, Spa-licious (where you can customize any spa treatments for up to 8.5 hours at Rp2,400,000), body and foot massages, manicure and pedicure therapy as well as facial, waxing and hair treatments. KALEA Spa has also established VIP spa rooms where there are built in steam rooms that can accommodate up to a maximum of 3 people. In addition, we are also providing complimentary two-way pick up transfer within Batam Centre, Habour Bay and Nagoya districts and a reasonable charge within Sekupang and Nongsa neighbourhood for any treatments of up to Rp 800,000 booked with us. Now, come and get pampered in the calm and relaxing atmosphere at KALEA Spa that takes your body, mind and soul to pure serenity.